Get your helmet ready with our exhilarating Cycling certificates. This is one for those who love the thrill of racing down dirt tracks on a mountain bike, or cycling through beautiful scenery. Fast, fun and bound to get the heart pumping, this is an out activity gift they will be sure to remember. 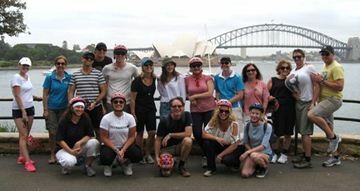 Choose where you would like to start this fun and engaging group bike ride through Sydney, perfect for a corporate team event! 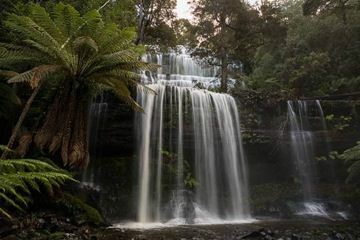 This tour will operate throughout the streets of Sydney and take in some of its best known attractions. You can choose where the tour departs from. Ideally suited to larger corporate events, this package is a superb way to encourage team building and interaction. For convenience, you can choose where the tour will begin, and arrange the best activities to suit your staff with loads of entertainment packed into a four hour outing. This is a fantastic way to experience the Sydney Harbour Bridge with a whole new perspective and is a great way to see the city in a short time frame. Head out over the fantastic Sydney Harbour Bridge, take in its amazing views, and enjoy the peaceful surrounds of Sydney's North Shore! This is a great gift for anyone to see the highlights of the harbour city while enjoying the outdoors.Package includes 5 hour bike tour across the Sydney Harbour Bridge and throughout the North Shore. 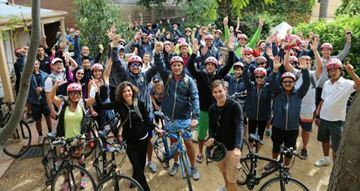 Lunch, beverage, bikes and guide are all included on this amazing tour. This is the perfect way to see the best Sydney has to offer on a two and a half hour ride through Sydney If you prefer to see just see Sydney’s Highlights and want do it in the shortest time possible, then this ride’s for you! This is a perfect gift idea for anyone travelling through Sydney and want to see all it's highlights in a fun and fresh way.There’s no better way to get a quick feel for the city, than the Harbour Highlights Tour! 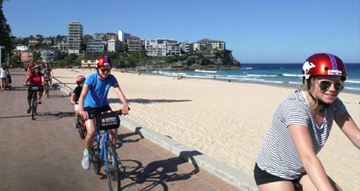 Experience a fun guided cycle tour featuring Manly Beach, coastal cliffs and a sunset ferry cruise on Sydney Harbour. 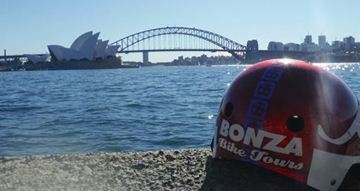 This bike our is the perfect gift for someone touring through Sydney and would appreciate it in a different light. 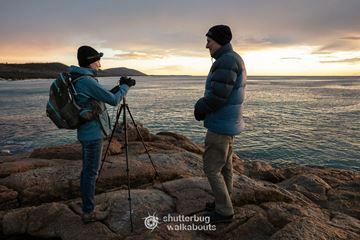 Encourage them to explore one of the city's most gorgeous beaches and coastline with this twilight adventure.